BGAN EXPLORER is the most important and indispensable commercial communication equipment nowadays. It will play an excellent role regardless of time or place. Even if you work in every corner of the world, you can use Braodband via telephone, internet, mail or video. Communicate with your boss, colleagues and customers in real time. BGAN EXPLORER provides telephone and information delivery services via the INMARSAT satellite communication service. It is applicable to any users who need global communications, such as shipowners, merchants, governments or airlines. 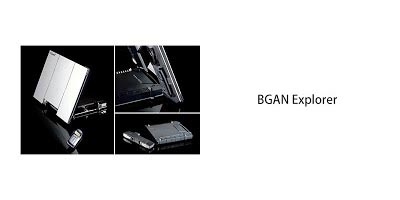 BGAN Explorer has world-class satellite communications and work convenience, and the information transmission rate is much faster than other major mobile phone networks. In addition, BGAN EXPLORER's communication fee is also cheaper than other standard mobile phone roaming.